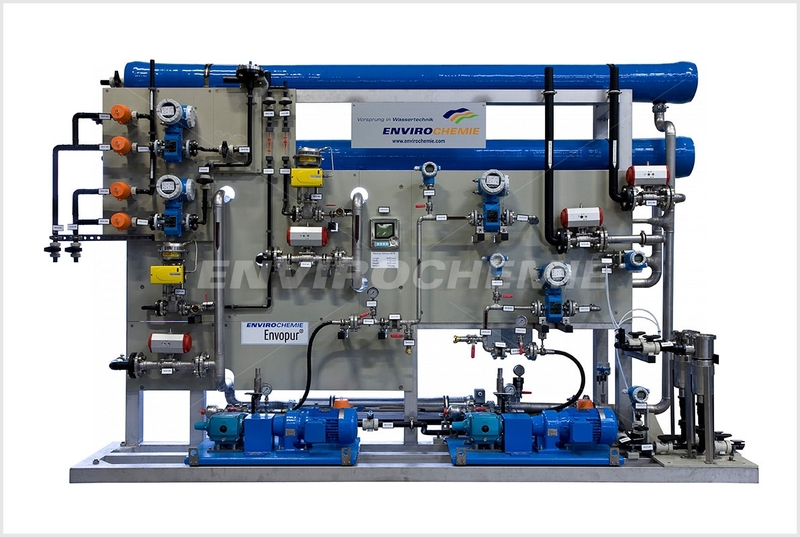 Envopur membrane plants for the treatment of industrial wastewater by reverse osmosis, microfiltration, ultrafiltration, nanofiltration and membrane biology. 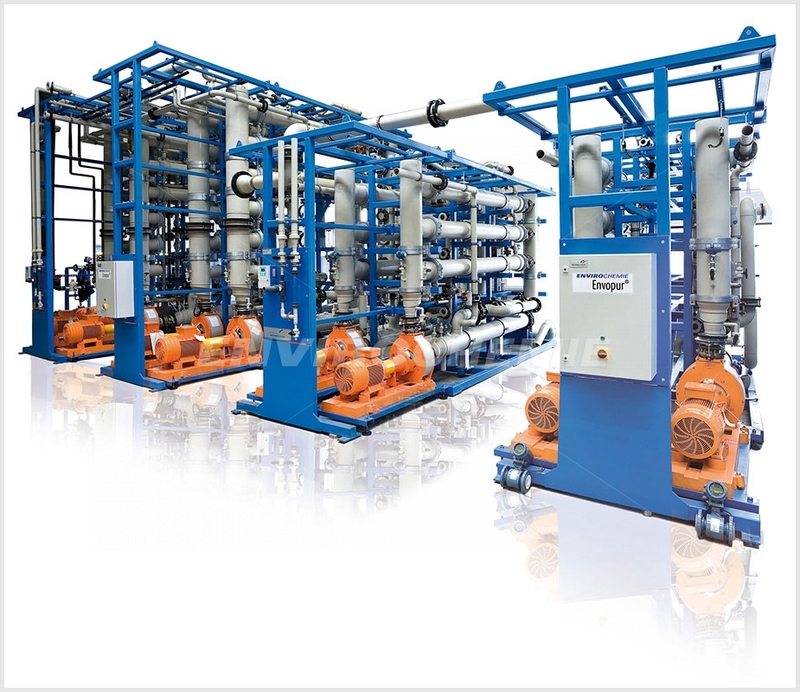 Typical applications for use are industrial water treatment, water recycling, concentration of resources, rinsing water recycling, continuous bath maintenance, selective material separations, as well as wastewater treatment. Our membrane plants for the treatment of industrial process water and wastewater have proven themselves over many years. Depending on the task, we select the process that is appropriate for your requirements. 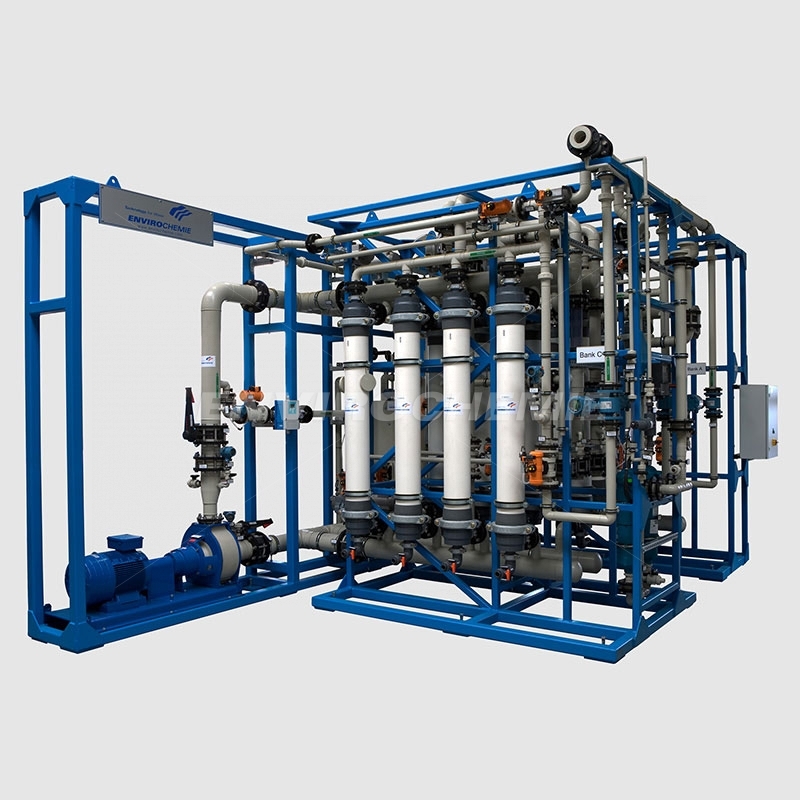 Plants for reverse osmosis, microfiltration, ultrafiltration, nanofiltration, and membrane biologies are used, or their combinations together with physico-chemical or biological EnviroChemie processes.